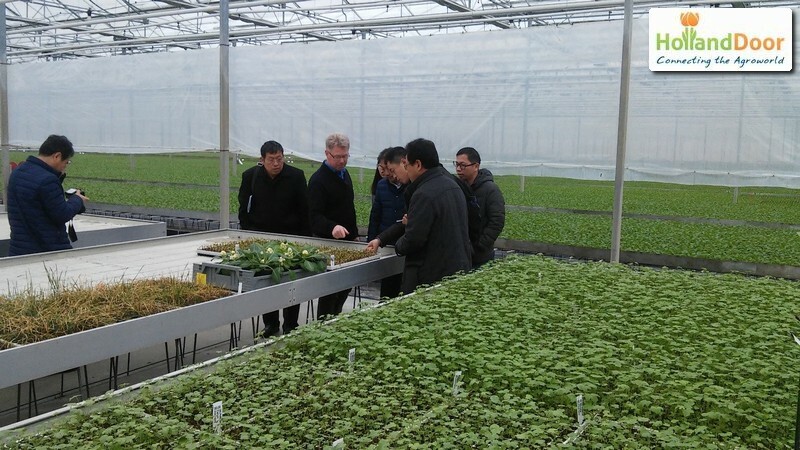 In January a group of researchers from China participated in an intensive training program in the Netherlands in the field of breeding, propagation and the cultivation of vegetables. The researchers came from the Henan Zhengzhou City agronomic research institute. 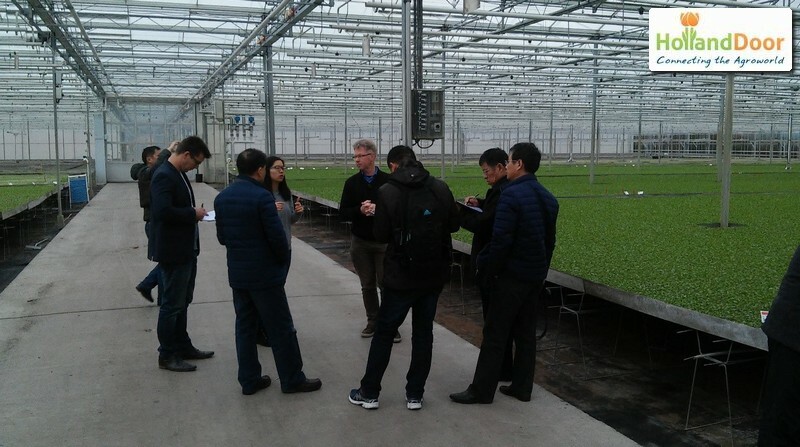 CECEC and Lentiz Course and Consult, who organized the training program, asked HollandDoor and Demokwekerij Westland to organize a study tour for the Chinese. This tour was characterized by the wide variety of companies that were visited and the diverse presentations that were given. By doing so we were able to give a broad overview of the Dutch breeding industry. One of the visited nurseries was Gitzels nursery, a company that cultivates cabbage plants, but also provides services to breeders. 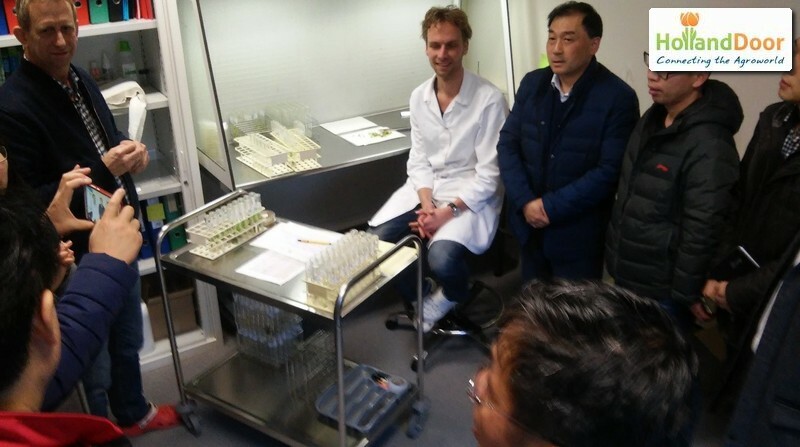 Furthermore Artisst Plant was visited, a laboratory that specializes in tissue culture of primroses and cyclamen. We were also welcomed by P. van der Geest’s nursery, who specialize in the cultivation of tomato and sweet pepper plants. In addition to these visits, a presentation on seed technology was given by ASP Quality Support. A general presentation regarding the role of breeding in Holland was given by HollandDoor. A visit to Monsanto in Bergschenhoek for a presentation on rootstocks completed the program. Both the Chinese researchers as well as the organizers of the complete course were very positive about the diverse and informative program.